Coffee tables are one of the favorite things designers like to play around with for some reason. I’ve seen quite a few interesting ones, from an arcade coffee table to a periodic coffee table of elements. Here’s another cool find, if you are looking for some coffee table inspiration: Electri-City tables by Ben Yates. I love the brilliant play on words. 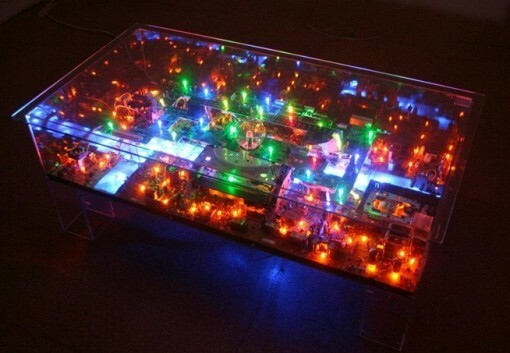 Electri-City tables are made of used materials such as circuit boards and other electrical items. Together with the necessary mechanical components – also mostly used – the electrical parts are put together to recreate the typical city scape in all its lit up glory. And with that concept, Ben Yates has created Electri-City tables which are certain to bring hours of mesmerizing views to their owners, not to mention great subjects of conversation. 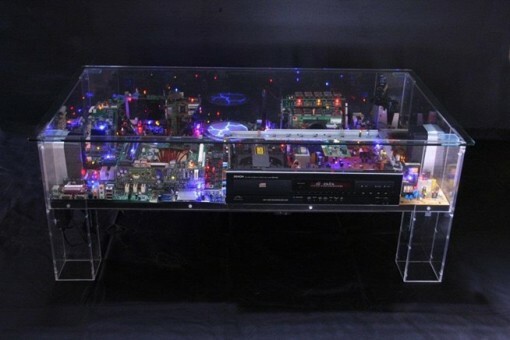 Here’s another view of one of the Electri-City tables – from above. While the entire picture is certainly spellbinding, taking a closer look is imperative if you want to fully appreciate what the artist has done. 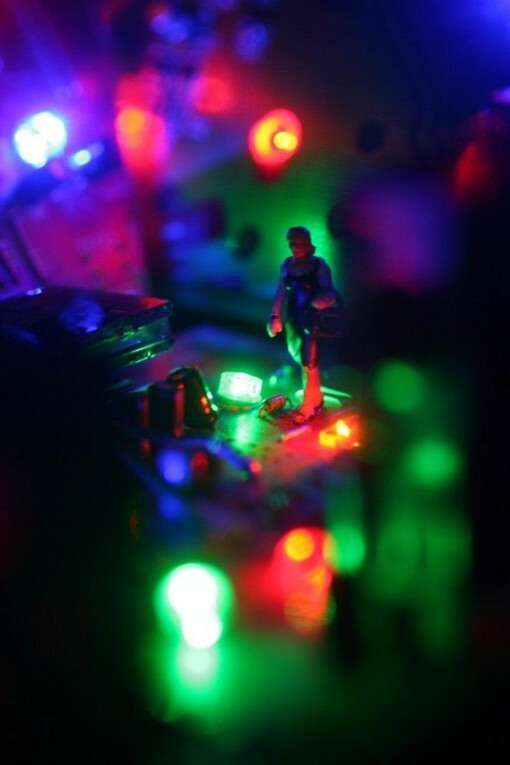 More than brightly lit buildings and glowing streets, which are but miniature projections of real life, the Electri-City tables also feature tiny human figures. They add another aspect to the city scape, which is the bustling activity of humans everywhere. Each scaled-down individual encased in the Electri-City tables have a story of his own to tell. For more details and more eye popping photos, check out Ben’s article.